Cloud and Software-defined Storage environments require elastic infrastructure to be able to adapt to continuously changing workload and data requirements. Delivering performance and capacity at the right time, while staying on budget, is essential to success. 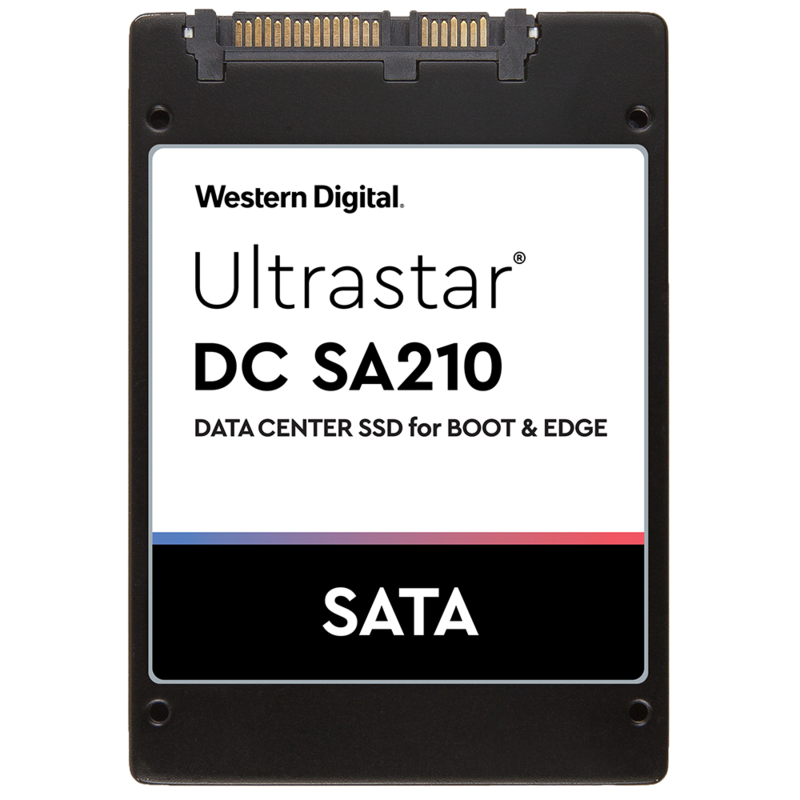 Western Digital’s Ultrastar DC SA210 SATA SSDs enable price/performance with mixed-use endurance options to support elasticity required for cloud data centers to succeed. SATA SSDs also play a role in edge computing, where applications like content delivery networks (CDNs) are moving away from centralized data centers to locations closer to those who are consuming the content. In such environments, data access speed is essential. SATA SSDs are key to delivering cost-effective performance for these read-intensive environments. Our purpose-built Ultrastar DC SA210 drives deliver price/performance to edge servers and read-intense CDNs, and are also well-suited for use as boot drives. With capacities as low as 120GB up to 1.92TB, you can choose the right capacity point for your operating system and logging requirements. Download the Ultrastar DC SA210 Datasheet (PDF).